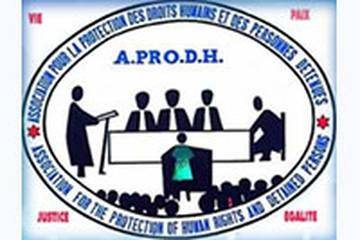 Association Burundaise pour la Protection des Droits Humains et des Personnes Détenues (APRODH) was founded in 2000 to protect human rights, particularly of detained persons, in Burundi. The organisation seeks to assess the status of human rights in general and the rights of persons deprived of freedom in particular, fight against torture and all kinds of violence and abuse, advocate for victims of human rights violations, assist vulnerable people to access fair justice, and disseminate information on national and international human rights issues. To sensitise the general public on the prevention of all forms of abuse of people in custody. The advocacy campaigns conducted by APRODH and other Human Rights groups in 2011 and 2012 led to the release of over 7,000 people detained for minor crimes. APRODH believes that the continuous investigations and denunciation of cases of extrajudicial killings in 2011 and 2012 contributed to reducing the number of murders and assassinations in the country.